The 13-year-old boy was on the 3600 block of North Marvine Street when a gunman opened fire. 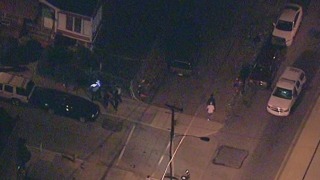 A teenager is recovering after a shooting in the Hunting Park section of the city. The teen was struck twice in the stomach. He was taken to Temple University Hospital where he is currently in stable condition. Police say an arrest was made in the shooting though they have not yet revealed the suspect's identity or specific charges.